First Lady to McGlothen Temple Church of God in Christ from 1987 until the present. Sister Gloria Elaine Jennings is a graduate of Contra Costa County, receiving a degree in Early Childhood Development; later received her license in child care and foster parenting. She is a respite care provider and works as a Special Education Aide in the West Contra Costa County Unified School District. While serving as First Lady of Mt. 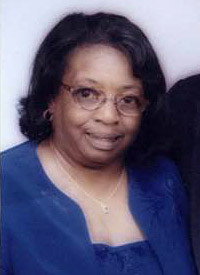 Zion Church of God in Christ, she provided invaluable expertise and assistance to Pastor Jennings in establishing an accredited day care center. She continues to faithfully work and support her husband at the McGlothen Temple Church of God in Christ. She serves as Chairperson of the Minister's Wives Committee, member of the Senior and Sanctuary Choir, President of the Recreation Committee, and Youth Choir Mother. She works where ever she sees a need, whether it is playing the drums or leading praise and worship services. Sister Jennings also works faithfully in the Greater Richmond District, serving as treasurer of the District Business and Professional Women's Federation, Choir Director of the Women's Chorus, member of the Minister's Wives and District Choir. She is also active in the California Northwest State Jurisdiction serving as Jurisdiction Treasurer of the First Ladies and the Business and Professional Women's Federation. Sister Gloria Elaine Jennings, is indeed a loving and supportive woman of God, her husband, Pastor, family and members of the McGlothen Temple Church of God in Christ. She believes in lifting her voice and making a joyful noise to the Lord. She is a woman of integrity, wisdom and love. She always has kind and encouraging words to those she comes in contact with. She is a woman who does not need the attention of being up front, but enjoys working behind the scenes, pushing and encouraging others. She and Pastor Jennings recently celebrated 50 Years of marriage.